Celeb Gossip News – Why Did the Dam in Brazil Collapse? Here’s a Brief Look. Why Did the Dam in Brazil Collapse? Here’s a Brief Look. On Jan. 25, a mining dam that sat above Brumadinho, a large town in southeastern Brazil, collapsed and unleashed a tidal wave of waste and mud that engulfed homes, businesses and residents in its path. It killed at least 157 people; 182 are still missing. It was one of the deadliest mining accidents in Brazilian history — a tragedy, but not a surprise, experts told The Times in an investigation into the dam’s collapse. All the elements of a potential catastrophe had been present, and warning signs overlooked, for years. Why did the dam burst? The structure, owned by the giant Brazilian mining company Vale S.A., strained the very definition of “dam” — it was an enormous, bare-bones reservoir of mining waste held back by little more than walls of sand and silt. It had no separate concrete or metal to hold back its contents. Instead, the dam relied on the lake of mud to remain solid enough to contain itself. Are there other dams like it? There are 88 mining dams in Brazil built like the one that failed. And all but four of them have been rated by the government as equally vulnerable, or worse. Even more alarming, at least 28 similarly built dams with poor safety ratings sit directly uphill from cities or towns, with more than 100,000 people living in especially risky areas if they failed, an estimate by The New York Times found. The dam relied on mud to hold it up? This type of construction — known as an upstream tailings dam — is one of the oddest structures known to engineering. And unless it is designed, constructed and monitored with great attention to detail, it can also be one of the most terrifying. Dams like the one that failed are, in essence, lakes of thick, semi-hardened mud, consisting of water and the solid byproducts of ore mining, which are known as tailings. Their unique construction makes them vulnerable to a potentially devastating process called liquefaction, when seemingly solid material can abruptly become a murky liquid, flowing downhill. Even a subtle change like an increase in water content — because of especially heavy rains or poor management — can liquefy the mud. What do we know about the company, Vale S.A.? It is the world’s largest iron ore miner, founded in 1942. Just this week it evacuated hundreds of people from the area of another dam because of safety concerns. Three years ago, another dam burst in the city of Mariana, just 75 miles away, killing 19 people and causing an environmental catastrophe. That dam was jointly owned by Vale and an Anglo-Australian mining company BHP. After the Mariana collapse, officials vowed to adopt rigorous safety protocols. That never happened. What have the Vale and the government’s responses been? Brazil’s top prosecutor said Vale should be punished. The Brazilian government said it was ordering inspections at dams around the country. 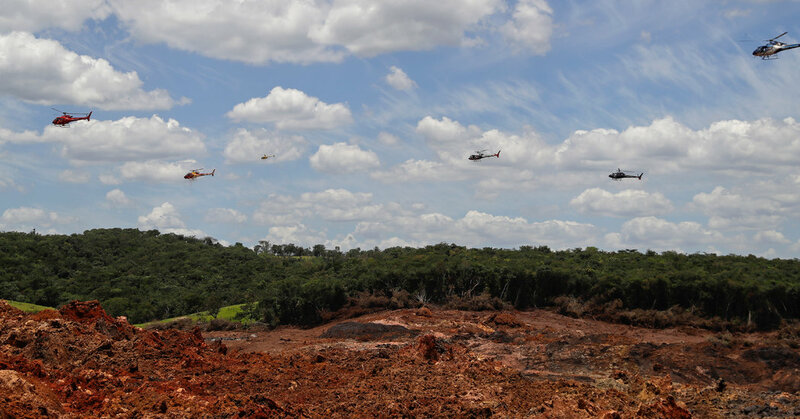 Four days after the Brumadinho dam burst, the police arrested the outside inspectors who had attested to its stability, along with three Vale employees responsible for safety and environmental licensing. A judge later ordered them released. The threat of poorly constructed dams in Brazil, especially those near towns and cities, goes far beyond one company. And the latest tragedy has made it clear that neither the mining industry nor regulators have the situation under control. The state of Minas Gerais, where the dam that collapsed was located, is the hub of Brazil’s mining industry, producing 53 percent of the country’s total output. It has more mines and tailings dams than any other state in the country. But, critics say, the laws governing them are written by the mining companies, not for the safety of residents. Lindsey Buckingham: Ex-Fleetwood Mac star 'feels fortunate to be alive' after emergency op Liverpool vs Bournemouth TV channel: What channel is Liverpool vs Bournemouth on today?